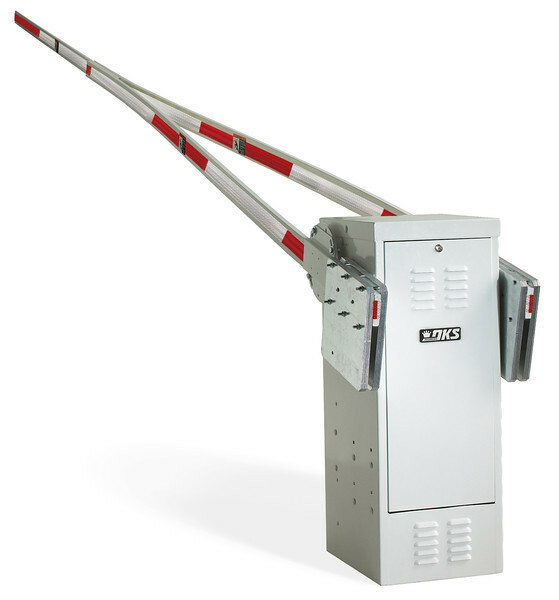 The 1602 operator is designed for traffic lanes up to 20-feet wide in low use commercial and industrial applications. This operator uses a counter-balanced three-piece wishbone style arm assembly. The 1602 operator is designed so that it can be mounted on either the left or right hand side of the roadway. The operator can be equipped with a DC convenience open package (optional) that will automatically raise the arm in the event of a power outage. Ports for plug-in loop detectors. Automatic sequencing inputs for use with slide and swing gate operators. Left or right hand mount. Aluminum barrier arms in various lengths (not included, order separately). Barrier arm hardware kit (not included, order separately). Manual Crank kit available (1601-170). Crank kit is a factory installed option only. 60:1 gear-box running in a continuous oil bath. Arm rotates 90° in approximately 5.5 seconds. Class III and IV applications. Dimensions (operator only): 15.25"W x 39.75"H x 15.75"D.
Loop Logic vehicular / pedestrian safety system. Aluminum barrier arms up tp 27' - counter balanced. Manual Crank kit (factory installed option only).